Triad Reef Critters opened in December 2010 in the basement of our home using a few used tanks picked up at an auction. We wanted to offer reasonable prices and quality livestock to a few of our friends and other local saltwater aquarist in the area. The word-of-mouth advertising quickly moved us from a "call before drive out" hobby shop to regular business hours three days a week and then six days a week within a year. We took over two additional rooms in the basement over the next 18 months, but the house just couldn't hold us anymore. In December 2013, we moved out of the basement to our current location on Regency Drive, conveniently located in Greensboro, NC, close to Interstate 40 and the PTI Airport. We now fill over 3500 square feet with an amazingly diverse selection of saltwater fish, invertebrates, corals, and supplies. We also offer design, installation, and maintenance services for both saltwater and freshwater systems. Putting our customers first and providing great service has been the best advertising for us since we opened our original store's entrance—a door under our deck—in December 2010. 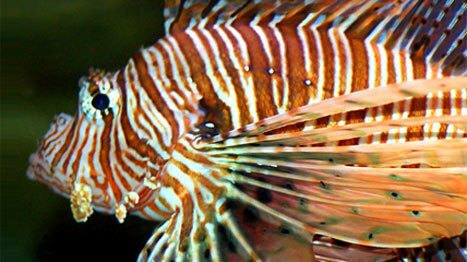 Come by and visit with us at Triad Reef Critters, and we think you'll feel the difference. We hope to see you soon!